We all will suffer from the loss of this great animal. We extend our sincere sympathies to the Gilbert family. Duane and Kolene Gilbert http://gilbertswatusiandzebra.com/index.html proudly present this new young bull. Bar G Thunder is an upcoming herdsire just starting his career. His first 4 calves are on the ground and they are taking off running. The future for this guy looks very bright. The Burnetts call him Frenchie as the mark on his forehead resembles the Frenches mustard flag. If he keeps up with his present growth rate he will be one impressive guy. 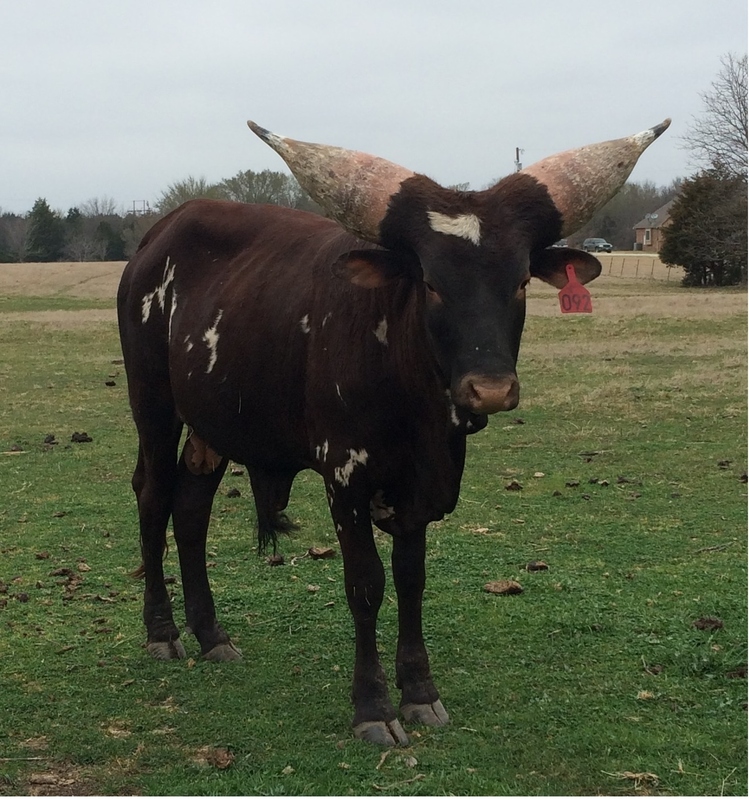 Klauss Chief Skull has been the premier herdsire for StarB Texotics for several years. He pretty much speaks for himself. He represents some of the most famous background animals in the bred. He already has 34 offspring to his record and will show his mark on the breed. 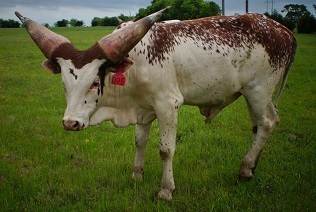 This young bull is getting ready to start his career at Pat and Trisha Burnett’s StarB Texotics in Wills Point, Texas. starbtexotics.com Bar G El Toro De Utah is the result on combining the bloodline of his sire Bar G Kulow, who is by TW Booger and out of BWS Miss Stella and Bar G Dixie Rose who goes back to JCS Krypton, the well known Klauss Dolly Parton, L D Big Mac Mcgwire and Liars Lake Bloodlines. This calf should be able to do it all, color, size and horn. Heikens Ark Lyman was one of the twins born on April 9, 2012 to Heikens Ark Loretta Lynn, daughter of Hiekens Ark Ring of Fire and by Heikens Ark Bravo, son of CT Woodie and out of Sea Fortune a Sea Wolf daughter. He is just starting his career. 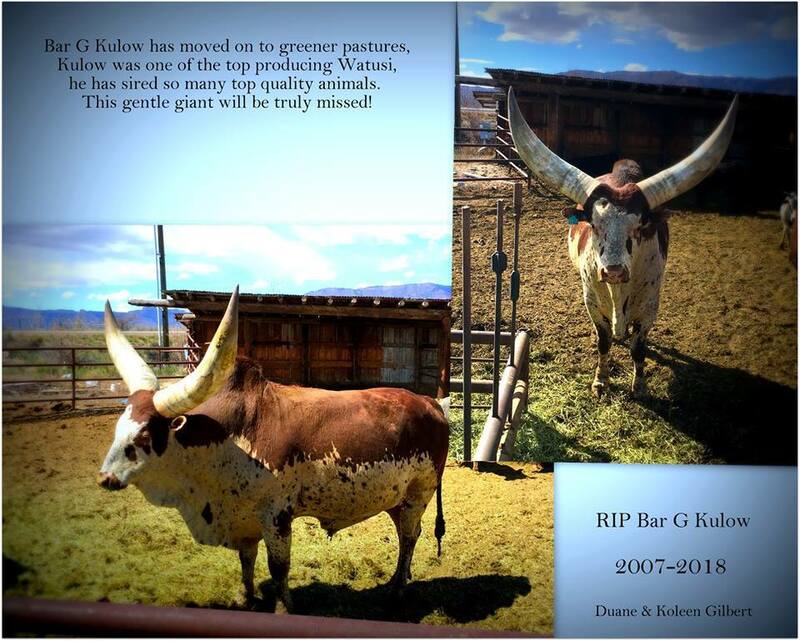 Bar G Kulow is a rising star in the watusi world being utilized by Bar G Ranch, Duane and Kolene Gilbert, of Castle Dale, Utah. Kulow was sired by the well known TW Booger and out of ENE Lovely Lady which combines old breeding programs from across the nation. 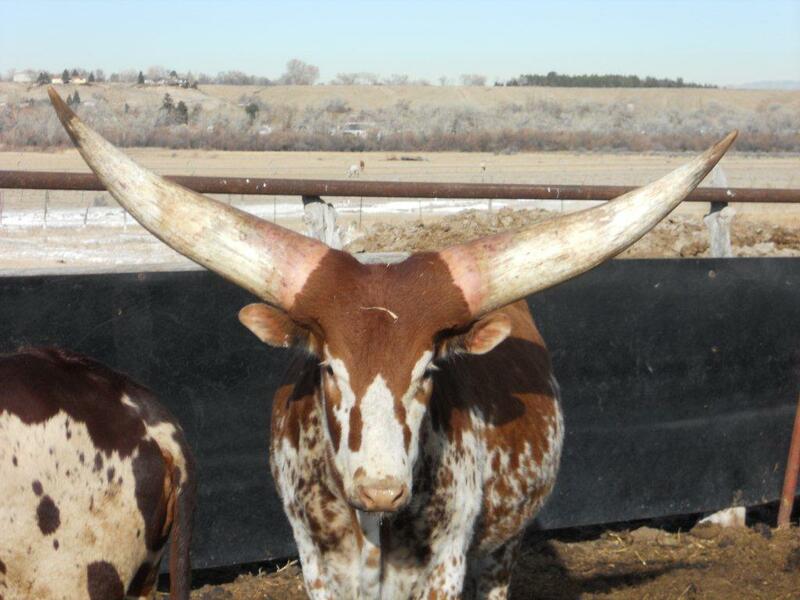 This combination of bloodlines produces lots of color and horn as is evident by his offspring. 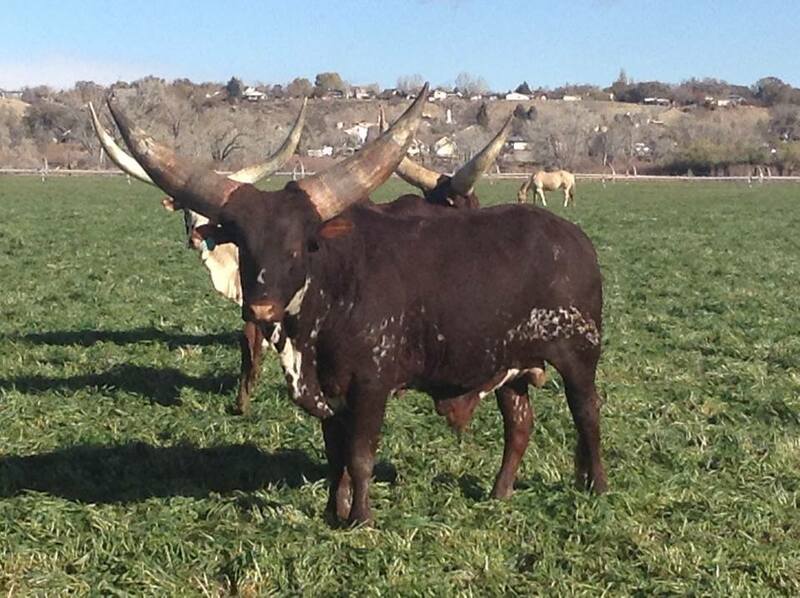 The following photos are of two of the wonderful offspring that this bull has produced. Masterpiece was Grand Champion Foundation Pure bull at the Colorado State Fair multiple times, a well deserved honor. 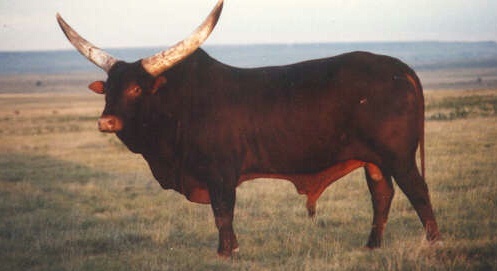 Masterpiece was one of the largest bulls in the breed weighing in at 2305 pounds at the age of 5 years. He was the product of the Great Adventure Park in Jackson, New Jersey in 1980. He was used extensively by the Zavislan Ranches in Pueblo West, Colorado mostly on percentage animals. Rambo was born at the Rare Animal Survival Center in Ocala, Florida and proved the successful result of one of the original breeding programs in the United States. 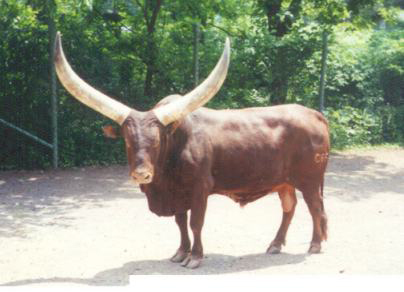 Rambo had it all, a body weight of 1600 pounds; horn circumference of 23 inches; 41 inch length to each individual horn and 54 inches from tip to tip (not measured along the curves). 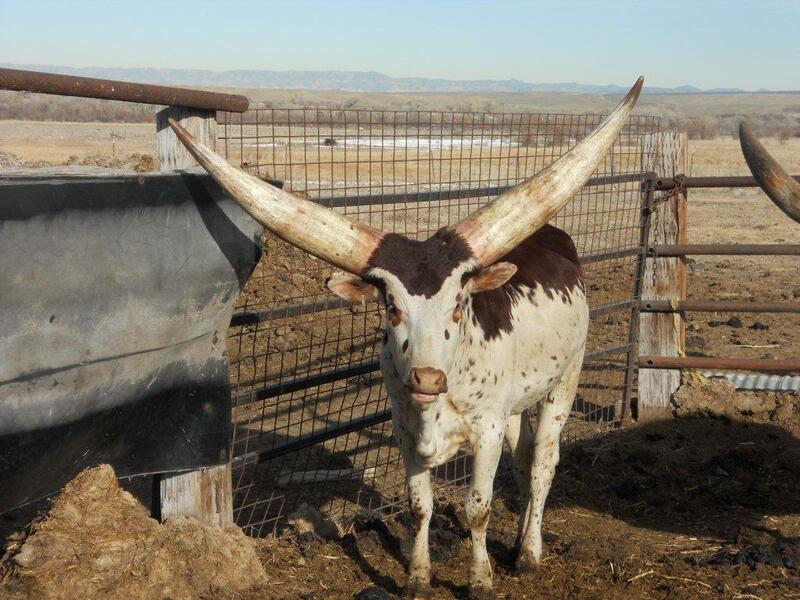 There is no question that this bull was one of the best representatives of this special breed. 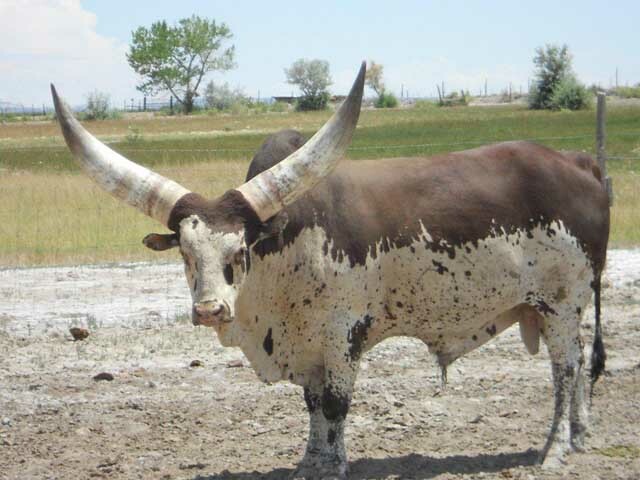 He was used by the famous Catskill Game Farm in their purbred program for most of his life and can be found in the background of many of the top animals of the Watusi breed. 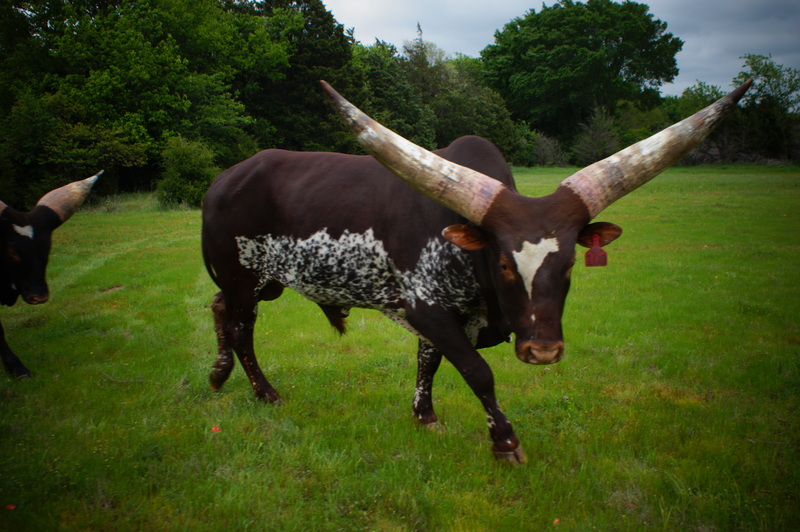 If you're a member of the World Watusi Association and would like us to link to your website, please fill out this form. 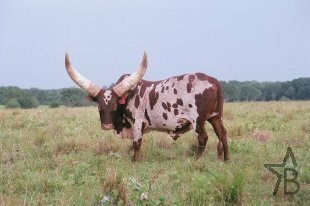 The World Watusi Association is a non-profit organization dedicated to the preservation and advancement of African Ankole- Watusi cattle.